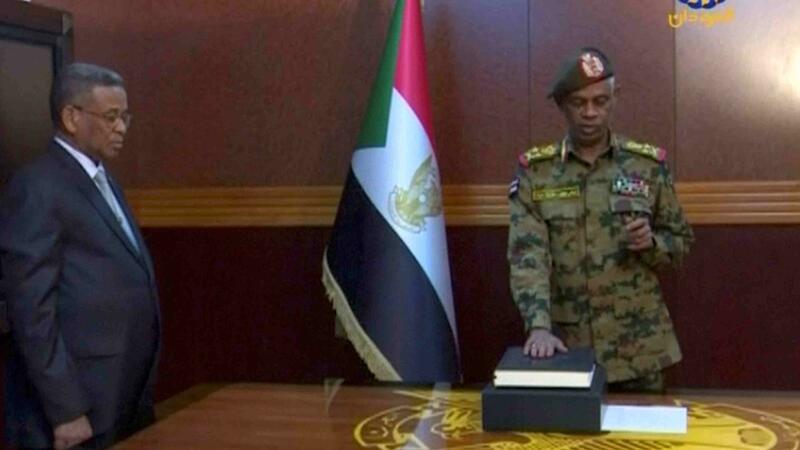 KHARTOUM, Apirl 12 (CGTN) -- Sudan's Defense Minister Awad Mohamed Ahmed Ibn Auf was sworn in as head of the country's transitional council on Thursday, official Sudan TV reported. Al-Bashir, 75, had been in power for 30 years. Ibn Auf further declared a state of emergency for three months and a curfew for one month. The defense minister said that a military council will be formed to run the country during a transitional period of two years. He also announced suspension of the interim constitution of the Republic of Sudan and closure of the Sudanese air space for 24 hours together with border passages nationwide until further notice.